Ericsson has shocked government types and telecom players by proposing to build a country-wide 4G network for free threatening to scuttle a consortium of the Safaricoms and Airtels of this world and equipment makers Siemens and Alcatel-Lucent that has won the right to build the network. Ericsson had slept during tendering and missed out on bidding. Only after a consortium of 10 players (Safaricom, Airtel, Orange, Essar (yu), KDN, MTN, Siemens, Alcatel-Lucent, Epesi Communications and the Kenya government) won the tender did Ericsson wake up. Essentially, the consortium, through a special purpose vehicle that has received approval from Treasury, is to set up an escrow account where the shareholders will deposit their contributions to the project. The exact cost is yet to be established although a preliminary figure of US$100million (Sh8.4billion) had been floated for the first phase of the project. 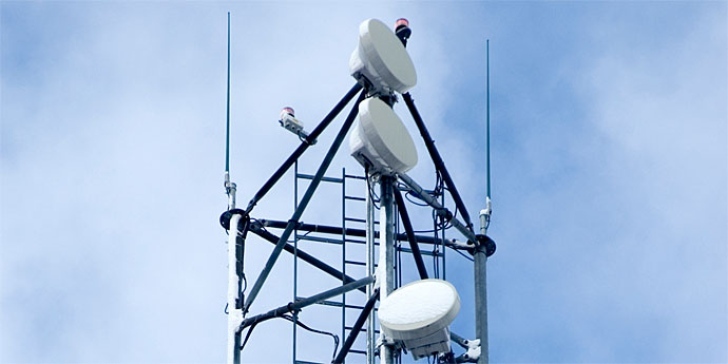 The telcos will presumably also provide their masts and base stations under a shared-infrastructure model while the equipment makers will agree on how to roll out the network. (an initial agreement between Alcatel and Siemens was dismissed as unworkable as they wanted to halve the work essentially building a network that is half Alcatel and half Siemens. They are now said to be seeking a better working formula). Ericsson now wants to crash the party. It is saying it can foot the bill for the entire project and repay itself over 15 years or so. It argues that rather than ask telcos and taxpayers to come up with cash for the project, it can bank roll the project and then operate the network. Ericsson it trying to team up with one of the consortium members, Epesi Communications, which touts itself as an American outfit, although Google searches for it yield preciously little and is said to be fronted by a Kenyan going by the name of Munene. Predictably, Alcatel-Lucent and Siemens are against this as they will stand to lose lucrative supply deals. Africa being the fastest growing mobile market in the world has attracted all the major infrastructure companies from Ericsson to Siemens, Nokia, Alcatel-Lucent, Huawei, ZTE and so on. Huawei and ZTE have suffered because they have very close relationships with two of the telcos in the country, Safaricom for Huawei and Orange for ZTE. As such, the other consortium members do not fancy them in the mix. But this is the kind of issue that finds its way to parliament and suddenly accusations of government spending money when an offer to have the entire network built with no money upfront is on the table. There is no word as to whether Ericsson's bid will be taken seriously or what their next move is but indications are that their offer has been rebuffed for now with the polite reminder that they did not participate in the bidding round. Another unhappy camper is Safaricom. The listed telecom would have loved to roll out the network on its own but spectrum constraints cannot allow this. 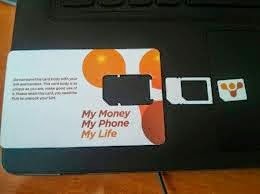 It is also unhappy that KDN and MTN could use the new network to offer voice services according to people in the know. Also, the network will be on an open access model meaning even those entities that are not part of the consortium can lease capacity on the network but essentially, it also means that all operators will have the same coverage countrywide when it comes to 4G. 4G's main beneficiary is video in the same way 3G is data and 2G voice. By 2020, it is expected that 5G technology will be rolling out with much of data traffic expected to come from smart devices like home appliances rather than phones and tablets. IPv6 will allow billions of devices to have their own IP addresses. The escrow account for the consortium was to be opened this week. How significant will be revenue from voice on the P & L for these companies? We keep being told voice will be a value add then so Safaricom has nothing to fear. Samia true but it is also their bread and butter and forms the core of their integrated services offering. I believe it is one of those services that clients want bundled in their package and so having it is preferable than not. The bold thing the government could do is to move broadcasting frequencies down to around 450Mhz and free up more bandwidth for LTE. Right now only about 25Mhz will be available for this consortium to use and it will have to be freed up by Telkom Orange who hold it. This means that on the completion of the 4G LTE roll out, YU,Airtel,Orange and Safcom will have the same coverage nationwide. Interesting, very interesting. No wonder Safcon will sulk at this.